A multidisciplinary team at Hadassah Hospital Ein Kerem recently employed an innovative technology to treat cancer metastases near the spinal cord–a first for Israel. The new surgical radio-spinal treatment, carried out in a specialized radiation treatment unit in Hadassah’s oncology department, is performed with the help of state-of-the-art Spine SRS software, designed by Germany’s Brainlab for the precise treatment of cancer metastases near the spinal cord. It enables the physician to match MRI and CAT scan images within an accuracy of less than one millimeter. “This level of accuracy is a revolution in itself, since the accepted standard up to now has been three millimeters in the cervical spine and six in the lumbar spine,” relates Dr. Amichay Meirovitz, who led the procedure and is head of the Focused and Stereotactic Radiotherapy Unit at Hadassah. “This increases accuracy by more than three to four times relative to previous techniques,” he says. Dr. Meirovitz reports that Spine SRS was received at Hadassah immediately after its launch in Germany, and that “Hadassah is the only hospital in the Middle East to use this software in a clinical setting.” In addition, Hadassah’s patients are among the first in the world to be treated with this new technology. Thanks to the precision of this spinal radiation treatment, physicians can give a single dose of higher level radiation that is more effective in treating the disease, with low risk of harming nearby vital organs, such as the spinal cord and kidneys. The procedure, done in cooperation with Hadassah’s departments of neurosurgery and imaging, also has another advantage, according to Dr. Meirovitz. It enables the physician to avoid surgical procedures that could endanger the patient or impair the patient’s quality of life. The procedure also enables the patient to recover in a short period of time, with a minimum stay in the hospital. 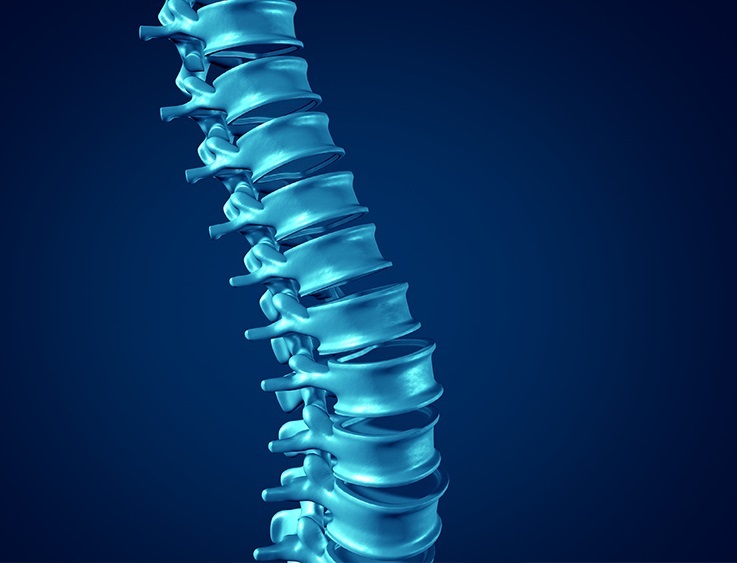 This new technology, Dr. Meirovitz reports, is suitable for patients with isolated spinal metastases, as opposed to patients with multiple metastases. The latter are best suited for other therapeutic options. In some cases, when the tumor is too close to the spinal cord, a preliminary surgery is needed in order to distance the tumor from the spinal cord, and only then this innovative treatment can be used.